The ARCHES Project strengthened the core groups advocating reproductive health consisting of health service providers, local government employees, community organizers, and volunteers in the provinces of Lanao del Sur, Maguindanao, Basilan, Sulu, and Tawi-Tawi through a series of legal orientation and basic sexual and reproductive health trainings, which included inputs on reproductive health, family planning, gender sensitivity, and the Responsible Parenthood and Reproductive Health Law. 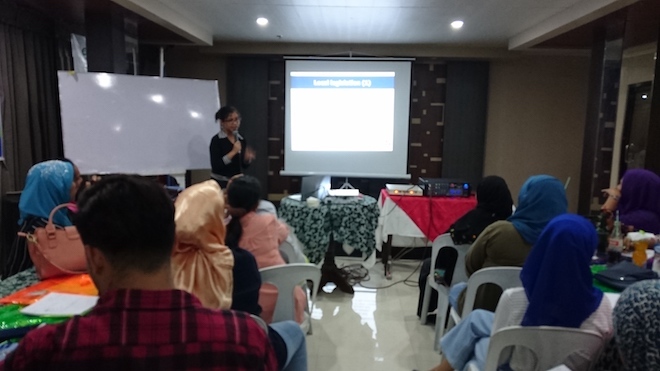 For its part, the Philippine Legislators’ Committee on Population and Development (PLCPD) discussed the key points of the RPRH Law and the status of implementation at the national level, local legislative process, and capacitated the participants on advocacy such as message development and person-to person advocacy, and people’s participation in the local health board. 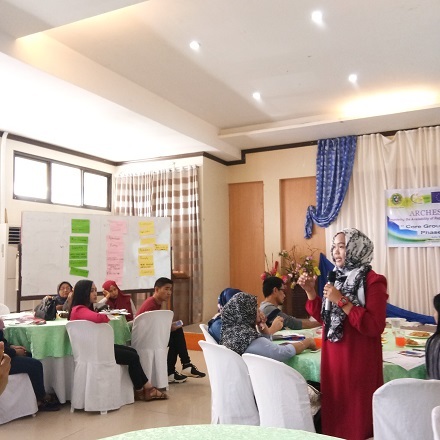 The training also included topics on gender and Islam, community organizing and mobilization, gender sensitivity, maternal health analysis, and family planning. The participants shared their insights during the discussions. Other points raised by the participants were: how to advocate the right age of marriage, and how to engage indigenous peoples (IP) communities in addressing cultural barriers to reproductive health. 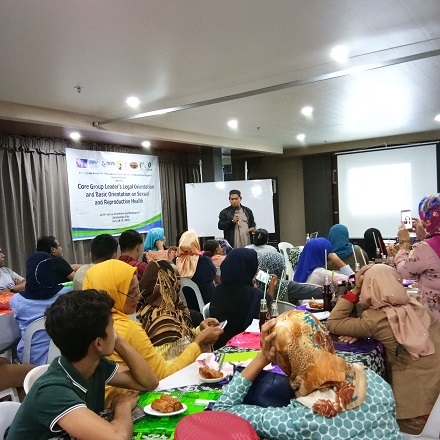 The activities culminated in a core group planning, in which the core group for each province discussed how to further improve RH service delivery and advocacy in the Autonomous Region in Muslim Mindanao (ARMM).